Beatrix Wilhelmina Armgard was born at Soestdijk Palace in Baarn on 31 January 1938. She was the first child of Princess Juliana and Prince Bernhard. At her birth, she held the titles of Princess of the Netherlands, Princess of Orange-Nassau and Princess of Lippe-Biesterfeld. Her sister, Princess Irene, was born in 1939. When war broke out in May 1940, the family fled to the United Kingdom. Throughout the war, her father Prince Bernhard stayed in London with her grandmother, Queen Wilhelmina. In June 1940, Princess Juliana and her two daughters went to Ottawa in Canada, where they would be safer. Princess Margriet was born in Canada on 19 January 1943. On 2 August 1945, the whole family returned to the Netherlands. Princess Christina was born at Soestdijk Palace on 18 February 1947. Princess Beatrix spent the rest of her childhood at Soestdijk Palace. 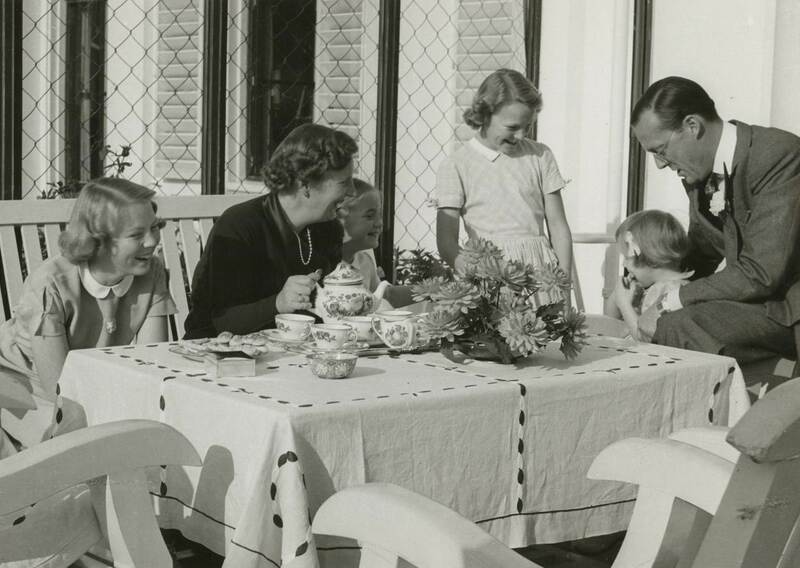 Queen Juliana and Prince Bernhard with their daughters at Soestdijk Palace, 1951.